Proposal for all new road developments in Kerry to include cycle lanes. 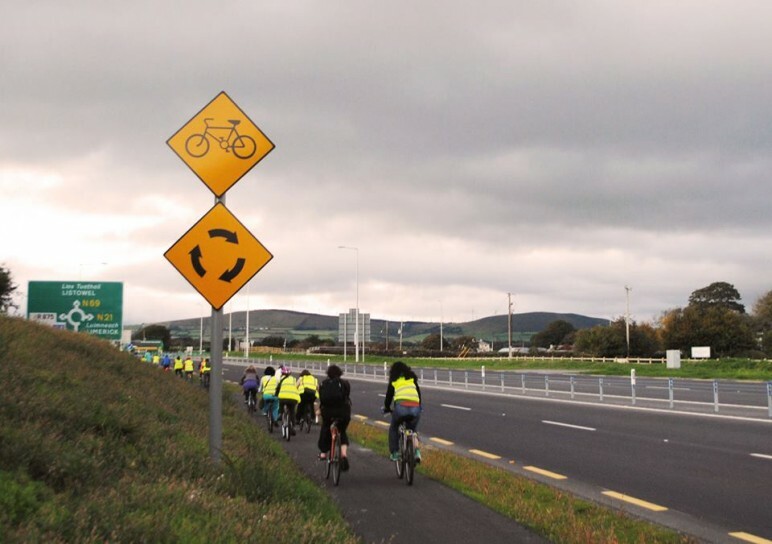 That Kerry County Council write to the Minister for Transport to negotiate with the TII and recommend that any future road developments along major routes within Kerry will have the inclusion of a cycle lane. Cllr. J. Sheahan stated while he accepted it is all down to finance we as a Council must insist that the way forward is the inclusion of cycle lanes. We are encouraging people to leave their cars at home and avail of the cycle to work schemes but we can’t offer them safe passage the way our roads are currently designed. Cllr. Sheahan added that he would like to see Kerry leading the way as pioneers of cycle lanes being in corporated on all major routes. The motion was seconded by Cllr. J.J. Culloty.